Want to get a compelling website design with amazingly interactive UI, which is clearly focused on user experience and conversion? If yes, you are at the right place! 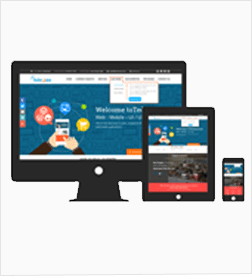 Technousa offers top-notch, offshore web design service. Get a Mobile-friendly, SEO & User-friendly and Conversion-focused Web Design at an unbelievable price. Web designers at Technousa are trained craftsmen. 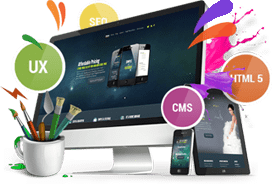 They have vast experience, high level of creativity and immense passion for web designing – a rare combination of qualities that makes them at par with the world's best web designers. We plan out a website design from a sales perspective – our team will spend time with you to understand your business/market, business objectives and target audience. Based on your inputs and insights from our UX/marketing experts, we work out the website's structure, features and functionalities. What are you waiting for? We work with our customers as partners and always go the extra mile to deliver high quality work. 100% satisfaction guaranteed. Checkout our web design service features and benefits below and hit the 'request project evaluation' button below to fill the quick form. Get a no-obligatory custom quote today!